Gorgeous contemporary home with 4 bedrooms and 2 1/2 baths. Home features a deck on the second story off the Master Bedroom. Home has views of the river. Move-in ready, well maintained home, with eat-in kitchen and dining area, a large outbuilding and a pond. Great investment opportunity with these storage units. The sale includes two lots. Lot 1 is 71 x 165 and Lot 2 is 75 x 167. There are 30 units: 1-13 rent for $30 per month; #14-24 rent for $40 per month and unit #25 rents for $50 per month. Nice neighborhood, convenient location. Kitchen, Living Room, 2 Bedroom, 1 Bath. Office building that has been used as an attorney's office and a surveyor's office. There is a kitchenette on the second floor with a full bath. The first floor has a half bath, reception area, and a reception office. Nice home in a quiet setting. Dining area, kitchen with appliances, washer and dryer, utility room, living room. The floor in the main bathroom is soft and will need to be replaced. Well maintained home with hardwood flooring throughout and in a quiet setting. The sun room boasts bamboo flooring. Small home located next to Point Pleasant Intermediate School. Farm land in Gallipolis Ferry. Two bedroom 1 bath home. 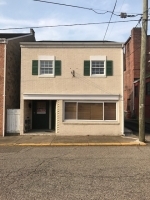 Great investment opportunity, as it is currently being utilized as a rental property. This would also make a great starter home or a wonderful home for someone looking to downsize. 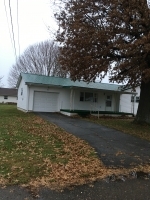 Three bedroom, 1 & 1/2 bath, full, unfinished basement, 1 car attached garage. Living room, kitchen, dining room. Actual lot dimensions: 105 x 36 x 104 x 186 or approximately 0.39. Great investment property as it is currently rented. Great investment opportunity, located in town. Living room, dining room, 2 bedroom, 1 bath.